The numbers, admittedly, are alarming. After a decent start this season, Justin Verlander's performance has been awful. But Verlander has been in this spot before. Just last season, the same thing occurred when he had a 6.41 ERA in May, and in 2008 when Verlander posted an ERA of 4.84 and WHIP above 1.4 for an entire season. There wasn't a better starting pitcher in baseball's postseason last season. After his lost season in '08, Verlander became the best starting pitcher in baseball. He is 31. There is apparently nothing wrong with his arm. He did comeback quickly from the core injury he had in the off season, which required surgery, although it has taken him a while to get his velocity back. When a hard thrower struggles, it is not always the snap has left their arm. It's often a mechanical issue, or lacking the certainty of each pitch, which allows for a free-and-easy motion. When a hitter struggles, it's called pressing. When a pitcher struggles, it's aiming the ball. 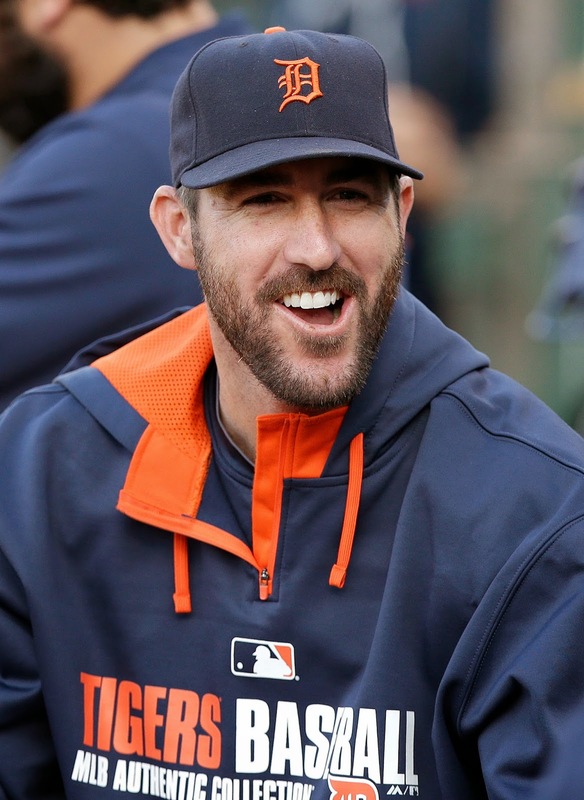 In 2008, Verlander let the season totally get away from him, much to the chagrin of manager Jim Leyland, and some of his teammates, who privately wondered about his mental toughness. Yet, he took that failure and turned it into tremendous success. His grit hasn't been questioned since, nor should it. He bounced back last season, too. Verlander, it has quickly been forgotten, was incredible in the postseason. Well, here we go again. I'm not suggesting Velander get a free pass for poor performance given his enormous contract, or it isn't a red flag he is allowing so many hits and not fanning as many hitters as he has during his past struggles. That was a big game last night vs. Kansas City, and Verlander didn't deliver. Yet, I am suggesting he is arguably the best pitcher of his generation, still in his prime and has consistently displayed the tenacity to get up after being knocked down. It is one of the best things about Justin Verlander, and I wouldn't be surprised if he does it again. There nothing better in life than hitting many birds with one stone. Justin has a lot miles on his arm, why not reduce the mileage and make him your closer. Nathan is not going to win you the world series but Justin can. DD doesn't have to trade top prospects which we don't have a lot of or take on a bad contract to get a closer. Justin would be great as a closer and this would cause the opposing team to be more aggressive on the starters. Team are making starter pitch and they reach their pitch count by the fifth/sixth inning. Team know get to the Tigers bullpen. Robbie Ray, if healthy, can't be as bad as Verlander. This also gives Verlander to recharge his arm for future years. Beside, not too many closers have perfect control and that is why they are closers. Verlander would be a big psyche knowing the most fierce competitor is back there to close the game. His fastball would jump up a few ticks too. People say you don't pay someone 20M plus to be your closer but do you want a guy with a whip close to 1.6 starting for you?